Celebrate the life and mission of Christ this Easter! 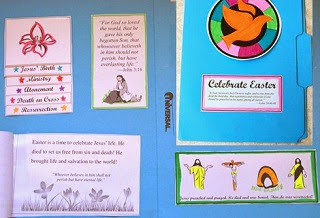 Your kids will enjoy getting creative as they create their very own Easter lapbook! An Easter Adventure will take your family on a adventure through the last week of Christ's life with stories, pictures, crafts, recipes, and projects to help your children understand the importance of Easter.